You've Discovered 1 of the most sought after, FUN and Amazingly ACCURATE Psychic Astrologers for your Special Event,Holiday Party, Corporate Event, Trade Show, or Private Party. HI! I'm Psychic Astrologer Suzan Hayden and I'm available to do INSIGHTFUL psychic readings, as well as, DREAM Analysis for YOU & your guests. Enjoy the BUZZ you and your guests gets after having me appear at Your Event. since You & Your Guests will never forget a reading with me. YOU can hire me for your Birthday Party, Bachelorette Party, Wedding Reception, Fundraiser, Corporate Event, Halloween Party, Monthly Birthday Party at Apartments OR Restaurants. I'll appear at your TRADE SHOW and I'll draw potential clients to Your Convention Booth, SO YOU CAN SELL TO A CROWD! 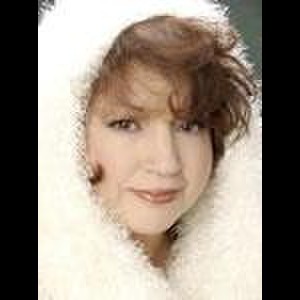 For over 28 years I've performed at Parties, Trade Shows and Corporate Events all over Chicagoland, New York, Florida, California, Texas, Las Vegas, and Arizona. I've appeared on TV and co-hosted Radio Shows. 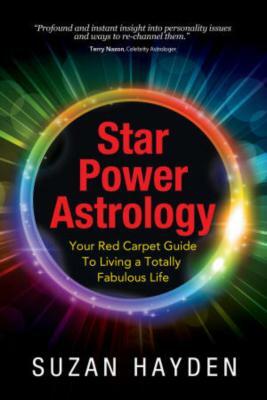 I'm also the Author of Star Power Astrology (Your Red Carpet Guide To Living A Totally Fabulous Life). I'm also available for hire on a CRUISESHIP or RESORT you're having your Wedding or Party at!!!! In a PSYCHIC ASTROLOGY reading I cover everything from Specific Personality Traits TO What's Been Going On In The Past Year TO what's Coming Up for the next year (what to Look Forward To and what to Avoid) TO Relationship Compatibility with a Mix of HUMOR, Compassion, FUN, Honesty and INSIGHT! I make sure I'm concise and to the point to give guests more than they expected. Guests leave energized and feeling better having more clarity about what to do Next. EVERYONE ends up wanting a reading from me! More guests line up as the word of mouth goes through the Party or Trade Show that I'm amazingly Accurate and FUN as well. Easy to Talk to and Listen to. Also, I incorporate DREAM ANALYSIS within the reading. With some assistance from the Host/Hostess I can keep the readings moving along without too many delays. In the past I have been hired to do Psychic Astrology Readings at Corporate Events sponsored by Chicago Bulls, AOL, New Orleans Convention Center, Allstate Corporate Offices, McDonald's Corporate Offices, Winnetka Woman's Club, Cosmopolitan Magazine, Jose Cuervo, Leo Burnett Advertising, Nickelodean Network, Adler Planetarium, Grand Geneva Resort, Revlon, Harley Davidson, Navy Pier, Illinois Bar Association, Coca Cola, Lettuce Entertain You Restaurants, Casinos, Salons, Golf Clubs, Nightclubs, Airlines, Hospitals, Renaissance Faires, Yacht Clubs, just to name a few!!! High Energy and FUN event. I'm Professional.... Entertaining.... Prompt and FUN! When YOU need an Psychic Astrologer,Dream&Handwriting Analysis, CONVENTION Traffic Builder Talent or Speaker, Suzan Hayden is the only Talent you'll ever need. Even if you didn't consider using a Psychic Astrologer for your event, think about it! Leave your guests buzzing for months. I'm also able to TRAVEL To YOUR PARTY wherever you are in the UNITED STATES including HAWAII, MEXICO or the CARIBBEAN. We hired Suzan for a company week of magic. No one in our office has ever done an astrology reading so we were all extremely excited. It was really fun having a personalized chart about your life that explained the past, present, and future experiences. It was a great way to kick off a Monday! 10/10 would recommend! Samantha, Thank you so much for your positive review. I'm glad I made such a positive affect on everyone at the party. Would love to appear at another one of your parties. Nice, lively and fun bunch at your party. Suzan was a highlight at our organization's holiday party. She was very thorough prior to the event to make sure everything was in place and ready for her to do her part. Everyone I spoke with enjoyed their reading and is now looking toward a great future. I recommend her! Thank you Cindy for your lovely review. I love the whole concept that the Dream Bank is there to empower others. There should be more events like that across the country. Thanks again for hiring me. A fundraiser of 65 people - she was the big hit! Thank you Bobbi for your stellar review. I absolutely enjoyed your party along with the gorgeous view of Lake Michigan. Everyone were very receptive for a reading from me. You have a wonderful group of friends and family which made the party even more enjoyable for me. Thank you. Made our party extra special - everyone really enjoyed their readings. I really enjoyed working with Suzan. She was well organized, on time, professional, very knowledgeable of her field, was great at communicating with me before and after the event. I would highly recommend her to anyone needing this kind of service in the future. I, as well as the guests at the party, were extremely pleased. I threw a bachelorette party for a friend and hired Suzan to do astrology readings. She was great and everyone at the party agreed that their readings were super accurate and interesting! We appreciated being able to record our readings as well. The bride said it was the best bachelorette party she'd ever been to! Dana, thank you very much for your review. You had such a diverse group of ladies. All different personality types for a change. A few of the ladies where bowled over by how accurate I was. It's fun to do a party where my talents are appreciated so much. Think of me for any future parties you may have. I would love to do another party with you. By the way, your home is gorgeous. Great taste! Please note Psychic Astrologer&Dream Analysis Suzan Hayden will also travel to Cicero, Berwyn, Oak Park, Forest Park, Hines, Lyons, Riverside, Brookfield, Maywood, River Forest, Summit Argo, Carol Stream, La Grange Park, Bellwood, Bedford Park, Melrose Park, Westchester, Burbank, Bridgeview, Hillside, Hinsdale, Hometown, La Grange, River Grove, Stone Park, Western Springs, Berkeley, Franklin Park, Justice, Norridge.